Sportif Dive love the Caribbean for a scuba diving holiday. The winter months are perfect to head to Grenada and all time favourite Tobago! 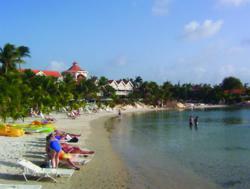 Superb value and luxury hotels on beautiful sandy beaches, stunning views, warm water and a wide variety of diving. From wrecks in Grenada, to superb conditions for learning in Barbados or improving your skills, to exciting drift, shark or even mantas in Tobago! Here is a summary of some of the best offers we have right now! 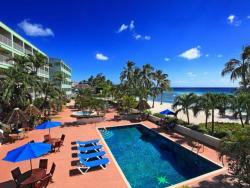 The Coconut Court Hotel in Barbados is a welcoming, family owned and run hotel that combines excellent, informal service with comfortable accommodation and superb, beach front location. Located on the south west coast in Hastings around 5 minutes from Carlyse Bay and just over 3km from Bridgetown. Selected dates. Subject to availability. The True Blue Bay is a boutique resort set on the site of an old indigo plantation. Perched on a hillside amongst tropical gardens sloping down to the sparkling blue waters of the bay and commanding views of the Caribbean Sea. Set in a 600 acre hillside plantation on the southwest coast, bordering two soft, sand Caribbean beaches with pristine coral reefs just off shore. 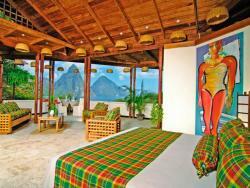 This luxury 5* hotel offers the finest views of the Pitons and arguably one of the world's finest romantic diving destinations - perfect for a special occasion, wedding or honeymoon. With top class PADI dive centre on site and protected reef just off the beach. Terms: Minimum stay 7 nights, on all inclusive basis in Standard, Superior, Deluxe Beachside and Deluxe Hillside room categories. Offer is not combinable with other offers except Honeymoon Special. Subject to availability. A high quality hotel in Tobago, situated on its own private, white sand beach with onsite first class PADI dive centre, gym and spa services. 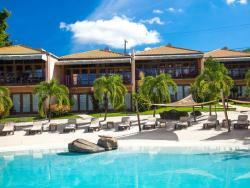 If you like first class service, yet a relaxed Caribbean resort this is the place for you. Swimming pool, spa, beachside restaurant and fine dining and all a short ride from the markets and shopping in Scarborough. Early Booking Offers 'EBB' SAVE £200 per room per stay. . Terms apply: Valid for stays of 7 nights or more, not combinable with any other offer. 2 for 1 Offer stay 14 nights on an All Inclusive basis and get the second week accommodation free. Travel Dates: 01 May to 20 December 2019.